Weight Watchers and Jenny Craig should get with the program. Neither of the weight loss leaders integrates sleep education and sleep diaries. And the companies are making a big mistake, new research suggests. Popular approaches used by groups like Weight Watchers use a diary to keep track of food and exercise. Adding an extra column in the diary for hours slept would be a minor change that could make a significant impact. A new study in the International Journal of Obesity found that adequate sleep increases your chances of success during weight loss efforts. People trying to lose at least 10 pounds more often reached their goal if they had six to eight hours of sleep per night. Stress reduction also helps with weight loss, the study reports. A group of 500 study participants were instructed to lose 10 pounds over a six month period. All participants attended weekly weigh-in and educational meetings. Instructors at the meetings encouraged the participants to consume 500 fewer calories per day, adopt a healthy low-fat, low-sugar diet and exercise for at least 180 minutes a week. Participants were required to keep record of how long they slept, stress levels and mood. The class instructors encouraged participants to keep a food diary as well. Nearly three-quarters of the people who slept more than six hours and kept a low-stress lifestyle were successful in losing 10 pounds or more and were twice as likely to meet their goals compared to those who get six or fewer hours of sleep. 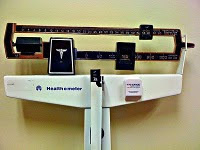 Sleep loss tends to lead to weight gain or undermine dietary weight loss because it changes the body’s hormone levels. Lower leptin and higher ghrelin can lead to a slower metabolism but a bigger appetite for junk food. Whether you are trying to lose weight or stay trim for swimsuit season, prioritizing sleep is always a good idea. The American Academy of Sleep Medicine recommends adults get at least seven hours of sleep. Don’t underestimate the power of diet and exercise. Weight loss programs like Weight Watchers work for many people because they educate people to make the right choices and encourage them to hold themselves accountable for their health.